We live in a stainless steel world where all of our appliances are built-in or ceramic topped, our fridges area massive and everything matches perfectly. But appliances weren’t always like that. There was a time when appliances were about function and durability. They were solid steel beasts with multiple uses and often came in vibrant colors. 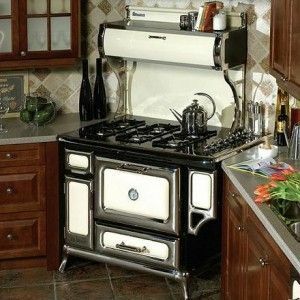 These retro farmhouse style appliances are sure to take you on a trip down memory lane. 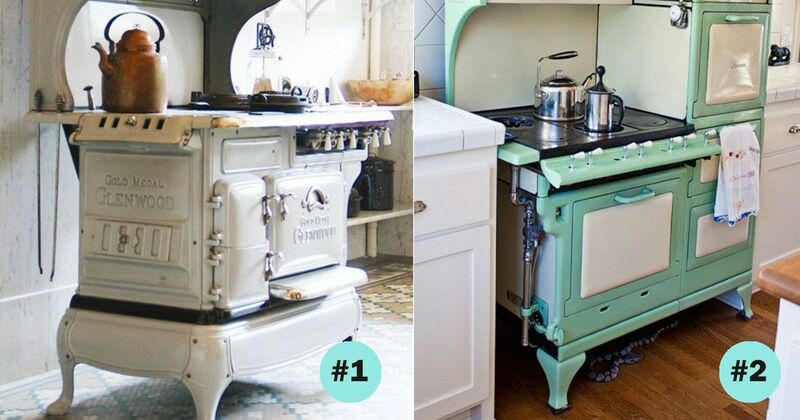 This cool mint green stove was more than just a source to heat up food. It had compartments everywhere for cooking, steaming, baking, keeping bread warm, etc. You could even display our nifty country style trinkets on top. Not sure what the snake underneath is all about. The whole farmhouse style appliance wave is making a comeback and a lot of modern manufacturers are releasing vintage lines. So you can recreate the country style in your kitchen but rest assured with a modern day warranty. Now this baby really takes us back. 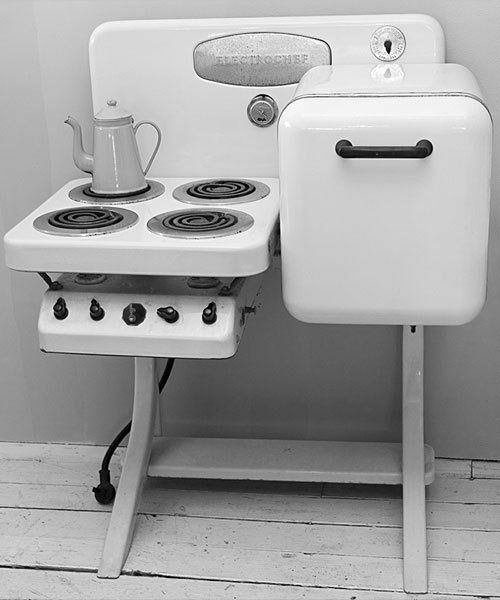 There was a time when people didn’t care much about the look and aesthetic of home appliances, they just wanted them to fit in their small space and perform their useful function. Well, this oldie surely encompasses that. 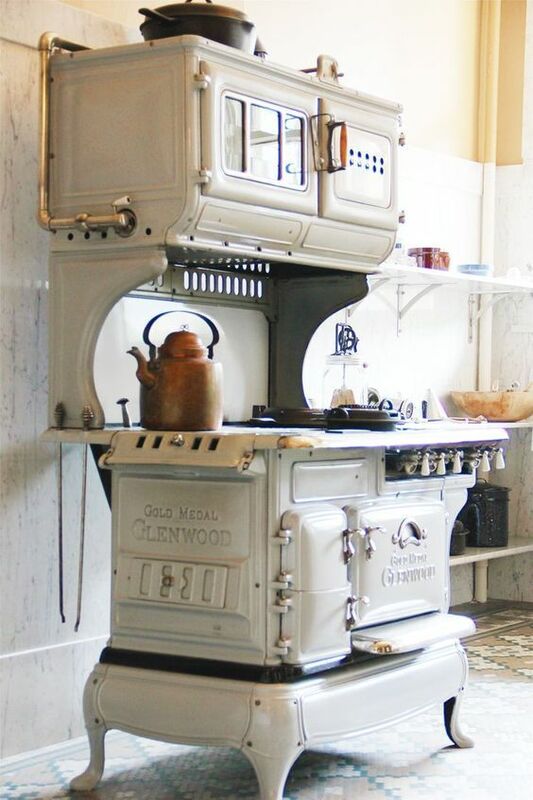 This mega appliance came from a time when things were built to last. 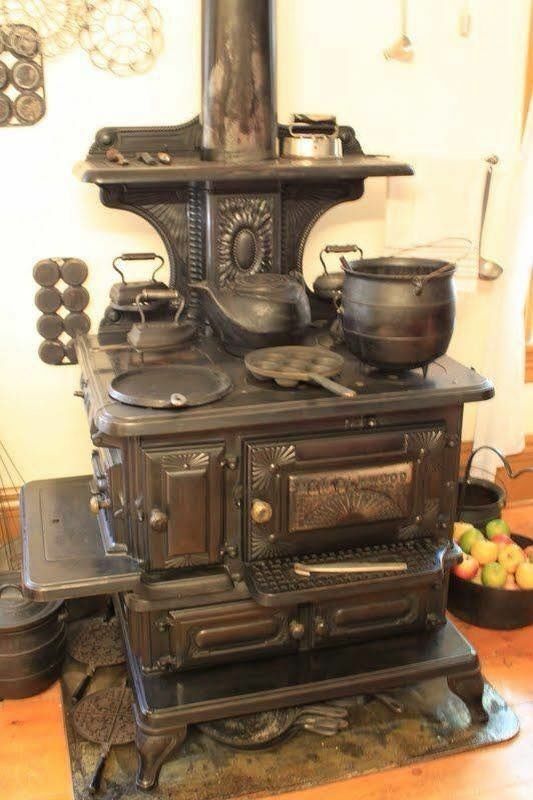 The sheer size of this monster stove reflected how sturdy and lasting it was. But everything is softened with the addition of the ornate detail embed in the metal work. Stunning. Now this is an oldie but a goodie. Running on the power of fire, this wrought iron stove does everything and more that a modern day model would. But in style. Go visit your grandma and give her a hug because this is how she most likely did the laundry, almost entirely by hand. 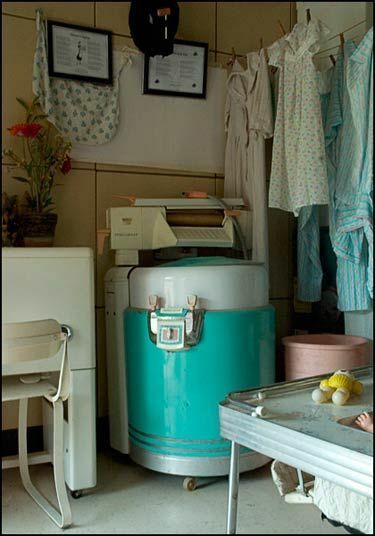 While we definitely prefer the modern day conveniences of our washing machines, this retro farmhouse style washer would make a great addition to a country style laundry room. Back in the day, this was a refrigerator. 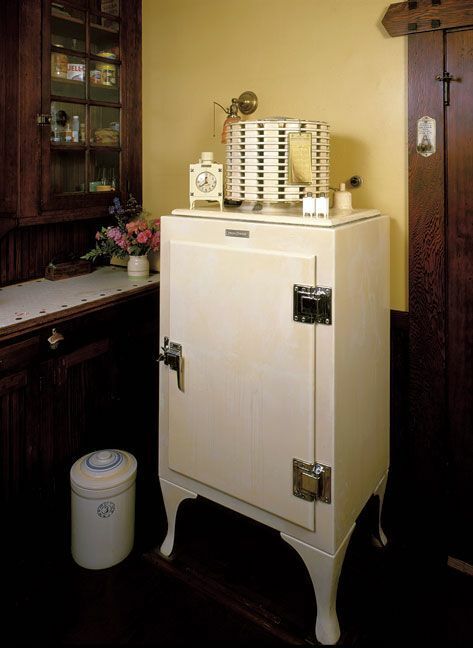 In a farmhouse, you often didn’t have the luxury of electricity so an ice box was used to keep the meats and dairy. In today’s décor settings, you could add this to your country style kitchen and use it as a unique beverage fridge or simply as storage. 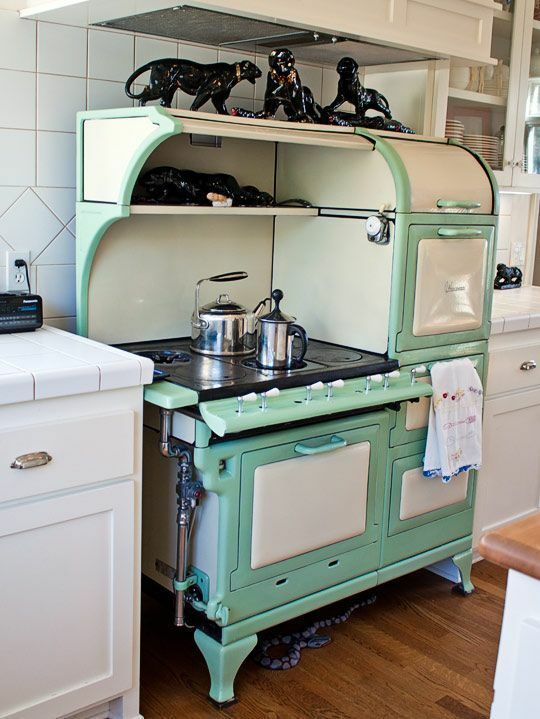 Would you covet any of these vintage appliances for your home? Sound off in the comments below and make sure to SHARE if you found these as nostalgic as we did.